I often bring myself back to the fact I’m a spiritual being having a human experience. When I consider spirituality, I don’t see it as separate from my physical journey on this earth plane. In fact, embodying the whole of my mind, body, soul and heart empowers me to experience life in all aspects. For I am the child, teenager, adolescent, adult, woman, mother, sister, friend. I’m also the healer, the nurturer, the seer, the star child, the wise sage and shaman. I AM ALL THAT I AM.. a child of God, connected within a stream of light, born of love, conceived of light and intended to experience all that IS. Today’s a beautiful warm day here in Australia. The sun is shining, and I’m sitting outside enjoying its warmth. I’ve asked for inspiration and received so much more. Today, I’ve been greeted by a dragonfly, had a ladybug land on me, enjoyed the hungry chirping of newborn birds in a nest in one of my trees. Had a colourful butterfly fly around while my gorgeous little dog Maggie slept on my lap while we rested for a short time. These were my inspiration for this article, which I’m delighted and thankful for. Seeing the dragonfly was quite unusual for it generally flies near water. The Dragonfly symbolises change, transformation, adaptability, and self-realisation. This change has its source in mental and emotional maturity and understanding the deeper meaning of life. It’s been a long, long while since I’ve seen a ladybug and the ladybug is the embodiment of luck, good fortune and prosperity leading one to experience the joys of life and living life to the fullest. The butterfly is also about transformation, change, joy and colour. Laughing do you see a theme here? The last time I saw newborn chicks nesting in a tree was when I was a small child, and I can only imagine it meant my hopes and dreams were ready to take flight. My journey of fifty-eight years on this path has not always been easy. In fact, there have been multiple traumas throughout my life. On reflection, these have served me well in my vocation for I connect from a place of knowing and compassion, and my gentle soul is always intact. I’ve been inspired to share that our past is just that. Don’t let it define you, allow it to shape your experience, for our quest is to embrace love and allow the authentic truth of our soul to emerge. Throughout my journey, I’ve come to understand it’s the simple things that bring me the greatest of joys, and simplifying my choices brings me peace and happiness. As I listen intently to my heart and walk a path of ‘feeling my way’ rather than ‘thinking my way’, I’ve released so much indecision and tension creating more harmony in my life. Life is to be lived not accumulated. We have the innate abilities to create and manifest a life well lived. Recently, I found a quote online. Unfortunately, the author is unknown, and I’d love to share it with you. In closing, embody all of you, seek within and allow your heart to express and light your path. From experience life in its simplicity will create from one synchronised moment to the other. When we’re present, we will notice the signs and take heart from those gifts, and happiness will be our reward. Maria Lacey was born in Australia and has travelled extensively overseas being led by visions, dreams and spiritual guidance. An award-winning author of a personal and spiritual memoir, One Path, Many Lights. Maria writes about life (the human and spiritual path), the adversity, learning, musings, and triumphs. 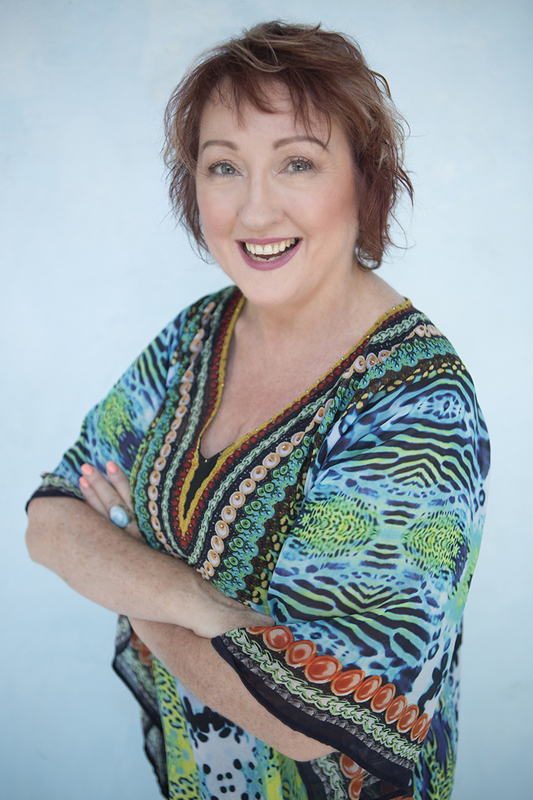 A successful entrepreneur with over 20 years in her own business, Maria humorously states, “I am my greatest case study.” Maria is a qualified Counsellor, Hypnotherapist, Reiki Master Teacher, Spiritual Teacher, Meditation Teacher, Sound Healer, Channel, Author and Speaker. Maria feels passionate about restoring hope into the hearts of many.